An experienced financial planner and company director, Tracey has worked with Sunshine Coast families for more than 20 years, helping them build wealth and enjoy financial safety. She also enjoys working with students of the University of the Sunshine Coast, teaching accounting and financial planning subjects, and relishing the opportunity to share her knowledge. Twice honoured as a finalist in the Sunshine Coast Business Woman of the Year awards; and also by Maroochydore Chamber of Commerce as a Business Awards Finalist, Tracey is one of the Sunshine Coast's most respected professionals. 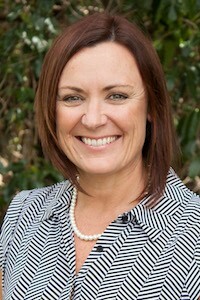 She is one of a small number of Australian financial planners who is a CFP® professional, an internationally recognised designation awarded to her in 2000; and one that represents a strong level of education, capability and understanding for the industry; resulting in the delivery of the highest quality advice. She enjoys volunteering as a Surf Lifesaver at Alexandra Headland Surf Lifesaving Club, where she sits as a Director on the Board of Management. She has 2 grown up children and she keeps fit and active by paddling her surf ski and trekking. Oh...and she doesn't mind sharing a nice drop of red wine with friends! In an industry of ongoing and immense change, bringing forth many challenges, Tracey is proud to remain one of the Sunshine Coast's most sought after financial planners; and is passionate about the importance of all Australians having access to honest and transparent advice.